As promised yesterday another Lensbaby image, taken outside a small village close to Pienza, Tuscany, Italy. 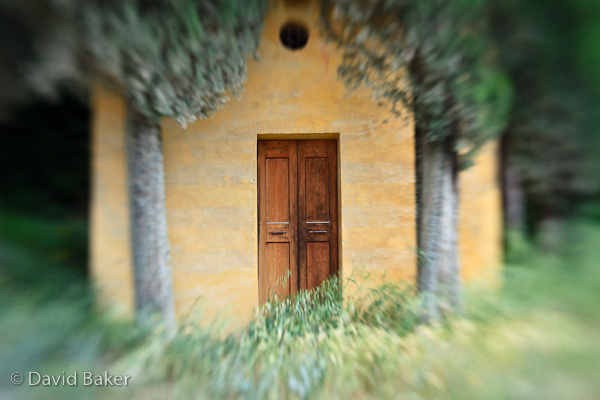 I can’t recall the aperture ring used for this one but it was probably around f4, the Lensbaby was used to disguise some of the damaged grasses and trees and to focus the eye on the old door. Its definitely one of my favourite Lensbaby images and turns an ordinary shot of an old chapel into something a bit different.